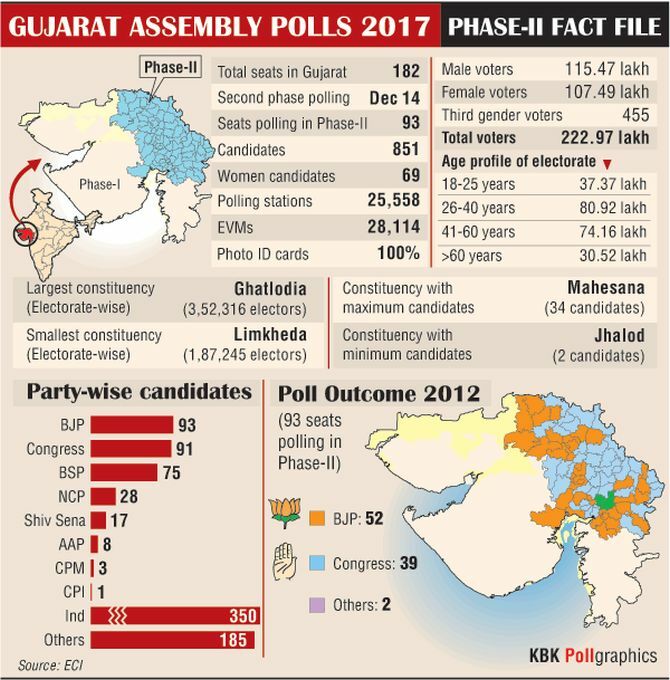 The Gujarat polls are drawing to an end with Tuesday being the final phase of campaigning before the state goes for polling in the second phase on December 14. Results for the 182-seat assembly will be announced on December 18. Ahead of the polling, here’s everything you need to know about the candidates. 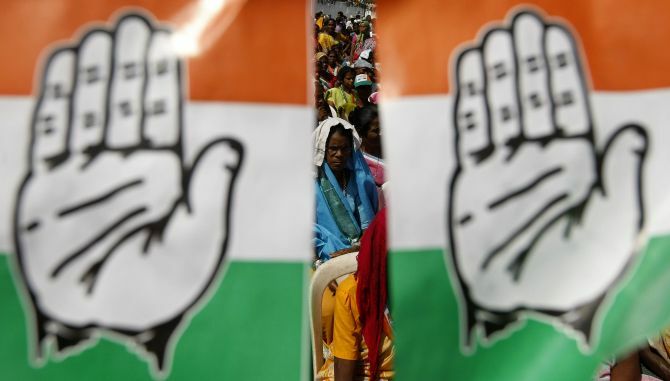 Of the 88 candidates that the Congress is fielding in the second phase of polling, 43 of them have criminal cases according to a study carried out by the Association for Democratic Reforms, a non-governmental organisation. 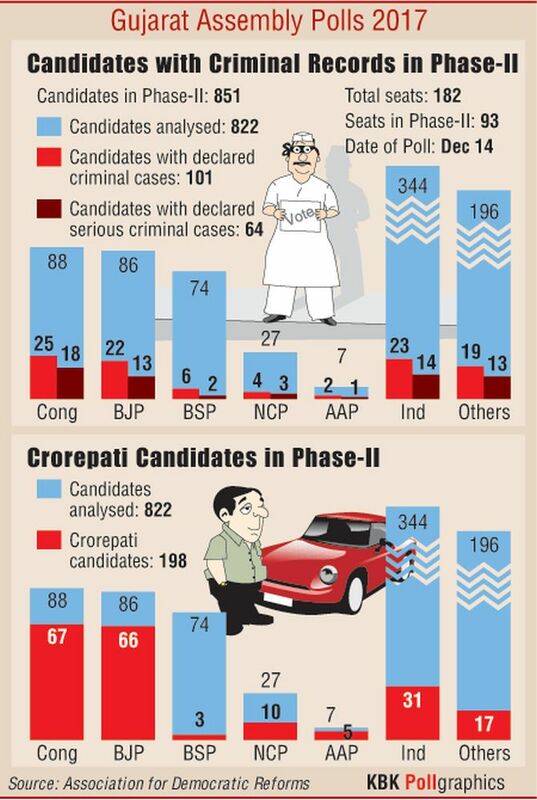 The Bharatiya Janata Party has 35 candidates with criminal records of the total 87 candidates. When it comes to assets, 67 of Congress’s candidates are crorepatis while BJP has 66 crorepati candidates. After polling, 66.75 per cent in the first phase, there are 93 seats up for grabs in the second phase of elections. A total of 28,114 electronic voting machines will be used in 25,558 polling stations. And for those who don’t remember, in 2012, BJP won 52 seats in phase II while Congress won only 39 seats.